If you complete in the time you unlock the pet turkey! Yes it’s unusual but it costs 20LPs, it can be found in the pet section of the buy mode. Honestly, bless you. you have to answer the same exact questions over and over and over, but you never fail to update. I love you, you’re amazing. I don’t know how to parepare food for turkey. What’s the correct preparation method? It says in the post, smash pumpkins by clicking on the sink. There is no option on any of my phones to call guests. 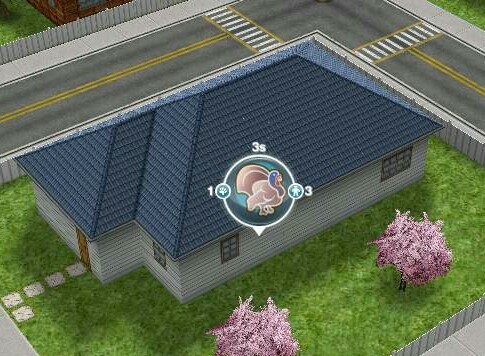 I am on this task and I can’t find the mysterious sim! That sounds like a technical issue, unfortunately I can’t fix it and as there isn’t that long left in the quest I don’t think EA would be able to help you in time- but the prize isn’t that good anyway! don’t worry too much, the prize isn’t that great! Thanks for the post. Reading all the questions here I think you’re a very patient person. @weightlessmagic I just wanted to thank you, your blog really helps me a lot, Thanks for the guide. Thanks for another great post! It answered all of my questions and was a great reference as I did the quest. Yes me too, I don’t think it is worth the cost! Thanks! I thought that when you complete the quest you immediately get the turkey. 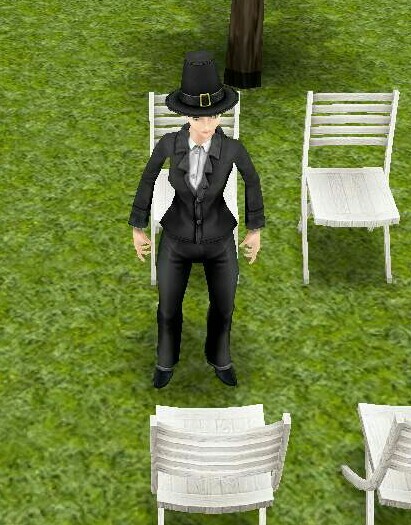 My next task is to have four Sims eating pizza, but I can’t find the pile of Pizzas next to the turkey. Is this a glitch? I ordered the pizza a long time ago. I’ve checked every single one of my Sims’ houses, but I can’t find the pizza. I can’t order another pizza either because when I click on the phone there isn’t the “Order pizza” option. I completed this quest yesterday (nz time) but logged on this afternoon and it said i didn’t complete the quest in time. I completed the quest with almost a day to go. What’s going on? Any ideas? First time this has happened to me and I’m on level 33.
have you checked that the turkey isn’t in the pet section? as some people have been getting this pop up by accident. My thanksgiving quest never appeared. I have completed the life dreams and legacies quest and am currently doing the red flowers of sim town quest. It was really odd because i have updated it and i kept getting reminders to say that i have 2 hours or so left to get the turkey but the quest never appeared? That’s strange, unfortunately the quest isn’t avaliable anymore but the prize wasn’t that good anyway! I finished the quest yesterday and the queue went away. But apparently it didn’t register as finished and today I got a message saying I didn’t complete it in time , no turkeys for me. Has this happened to anyone else? I didn’t know it wasn’t unavailable after a certain amount of time, tips guys, if you want it buy quick!